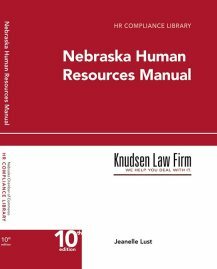 LB 757 was introduced to increase many of the exemptions available to judgment debtors and debtors in bankruptcy in Nebraska. The legislation failed to pass this year and the proposed amendments would have to be introduced again to be considered. LB 757 made the following changes to the Nebraska exemption statutes. Of the proposed changes, the change in the motor vehicle exemption may be the most significant. The current law, Neb. Rev. Stat. §25-1556(4), provides a $2,400 exemption for “one motor vehicle used by the debtor in connection with his or her principal trade or business or to commute to and from his or her principal place of trade or business.” The proposed amendment both increases the amount of the exemption to $5,000 and removes the requirement that the vehicle be used in connection with the debtor’s trade or business or used to drive to and from work. The proposed exemption permits a debtor to claim an exemption in a vehicle where the debtor is not employed out of the home or is retired, both situations where a debtor could not claim an exemption under the existing law. The increase in the amount of the wild card is also significant. Since the wild card can be stacked with other exemptions, a debtor would be able to exempt $10,000 in value (the $5,000 vehicle exemption plus the $5,000 wild card) of a car instead of the current maximum of $4,900 (the $2,400 tool of the trade exemption plus the current $2,500 wild card). Married couples with one vehicle could potentially exempt a total of $20,000 in value under the proposed change (two $5,000 wild cards, plus two $5,000 vehicle exemptions).